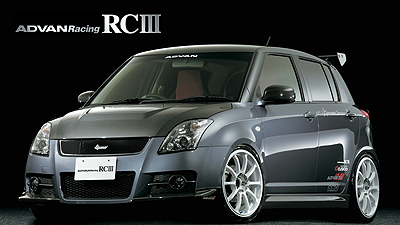 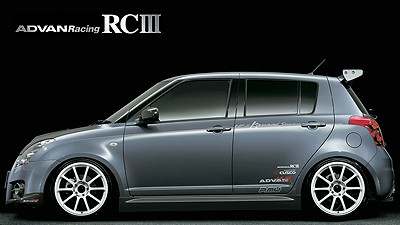 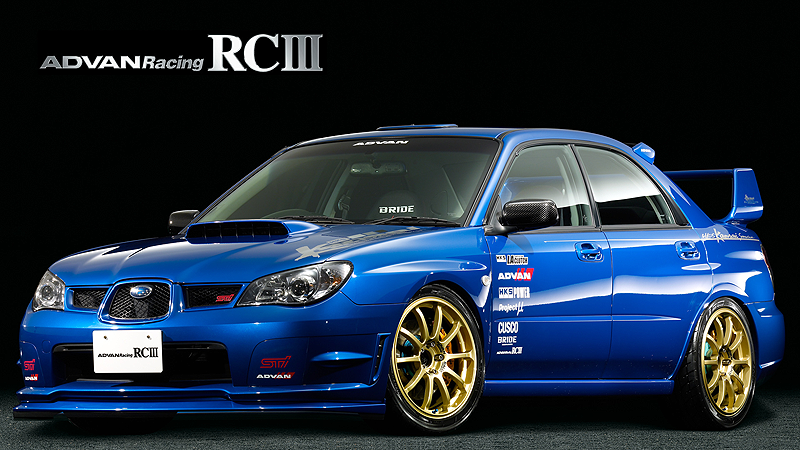 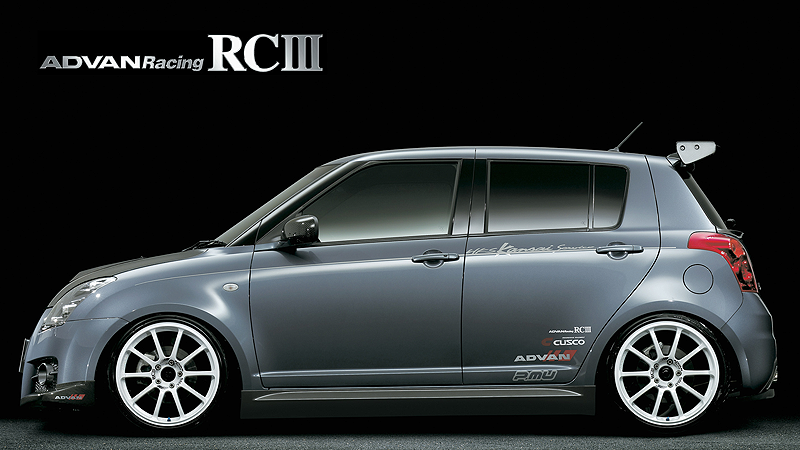 ADVAN Racing RCIII wheels were designed especially for rallies, dirt trials, and other such motorsports. 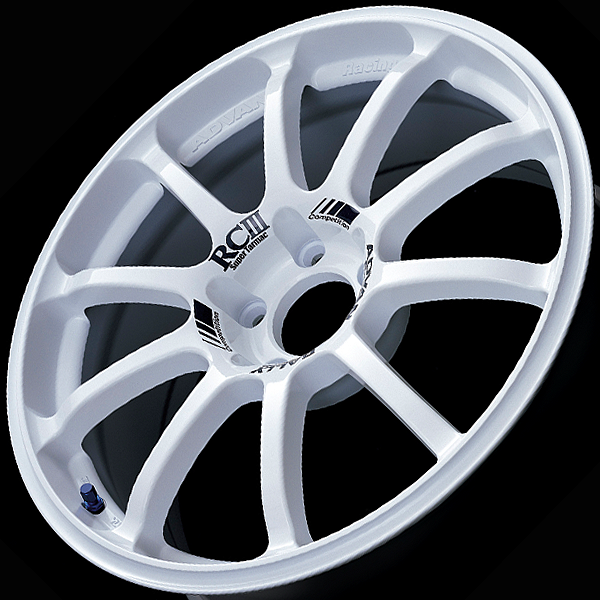 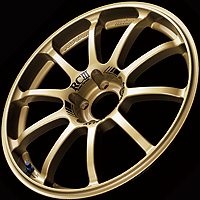 Where RCII wheels had five spokes, the RC㈽ models have 10, reflecting their completely new design to disperse impact more smoothly. 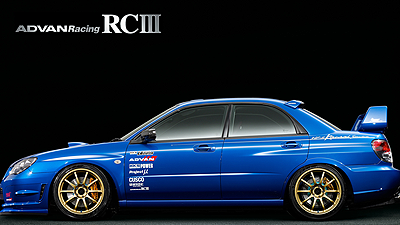 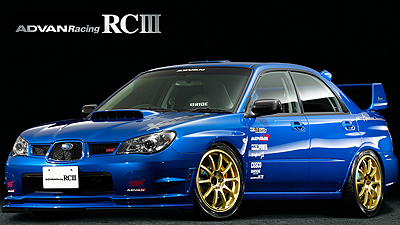 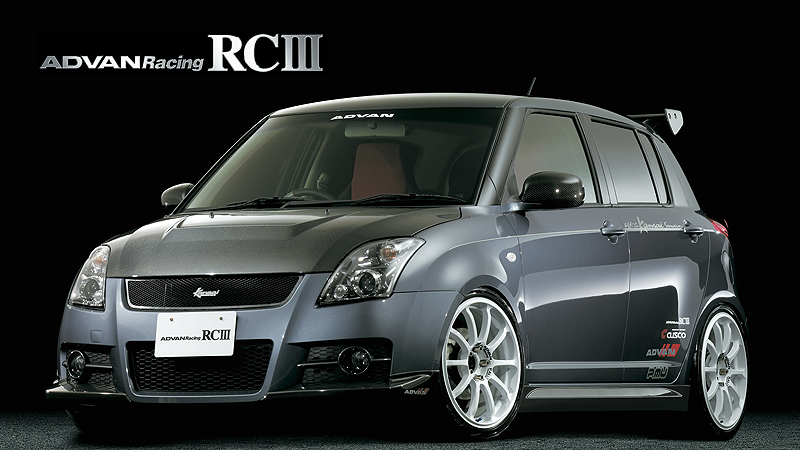 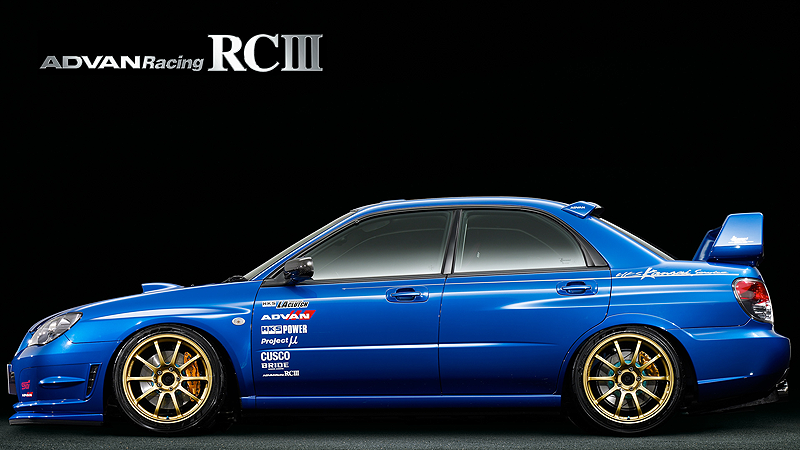 The winner of the 2009 All Japan Rally (JRC) ran on RCIII wheels. This one-piece forge-cast wheel combines flow forming production with YOKOHAMA's leading-edge casting technology to create the highest quality in today's aluminum wheel market. 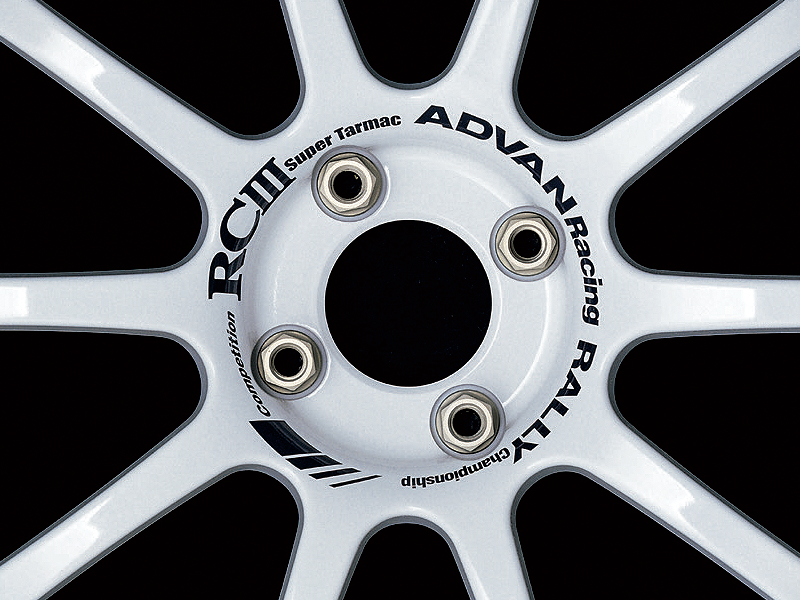 These wheels are designed to be as light as possible yet have the strength necessary to withstand the tremendous forces that come into play in the motor sports environment. 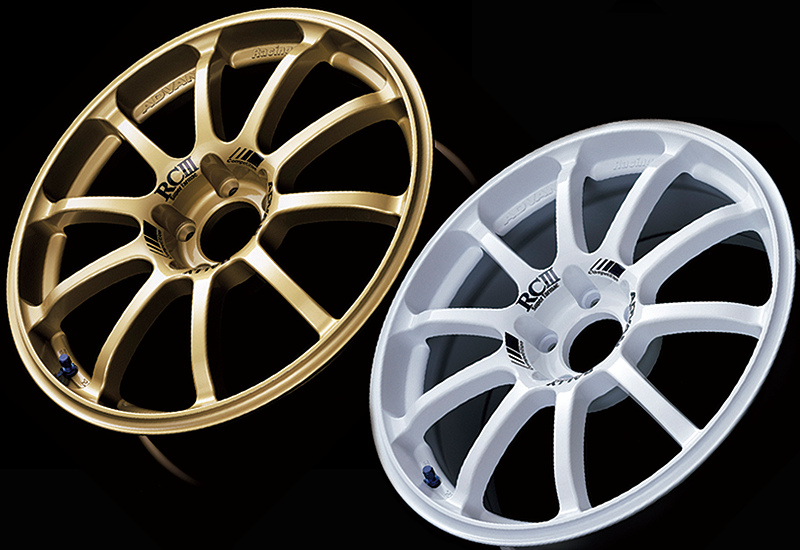 The two available colors of gold and white adhere to the competition wheel concept. 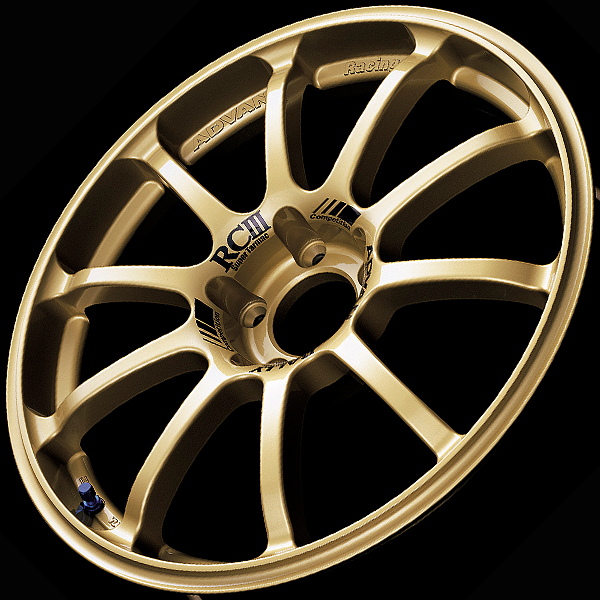 Nevertheless, these colors are the superior quality that comes only with our three-coat, three-bake process, topped with a clear anti-pitting top coat. The ADVAN Racing RCII logotype is heat-printed around the nut holes on every wheel as it leaves the factory. 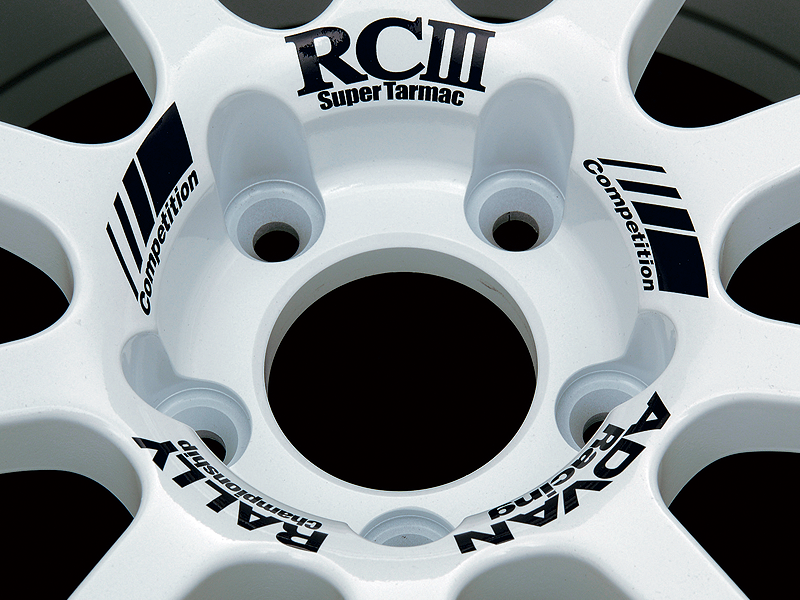 The 15-inch wheels have Super Gravel and the 17- and 18-inch wheels have Super Tarmac printed on them to define the stages they should be used on. 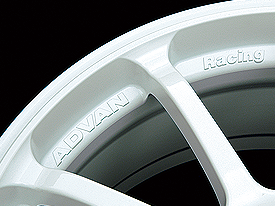 ADVAN Racing logos are cast between the spokes in 1mm high letters (faces unfinished). 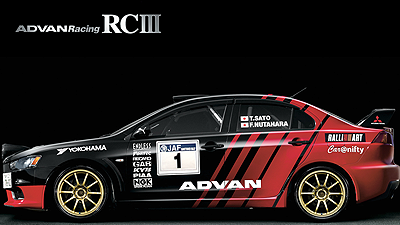 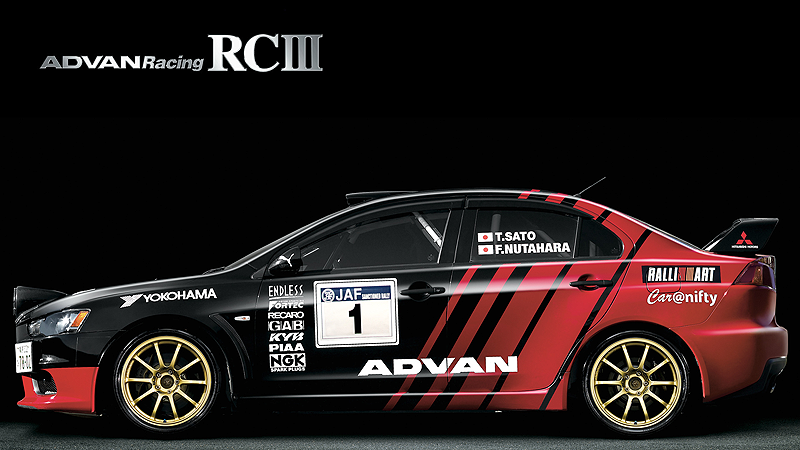 The ADVAN Racing RALLY Competition RCIII logotype is heat-printed all the way around the nut holes. 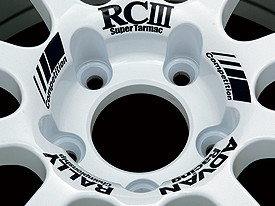 Super Gravel on the 15-inch wheels and Super Tarmac on the 17-and 18-inch wheels clearly signify which competitions these wheels are designed for. 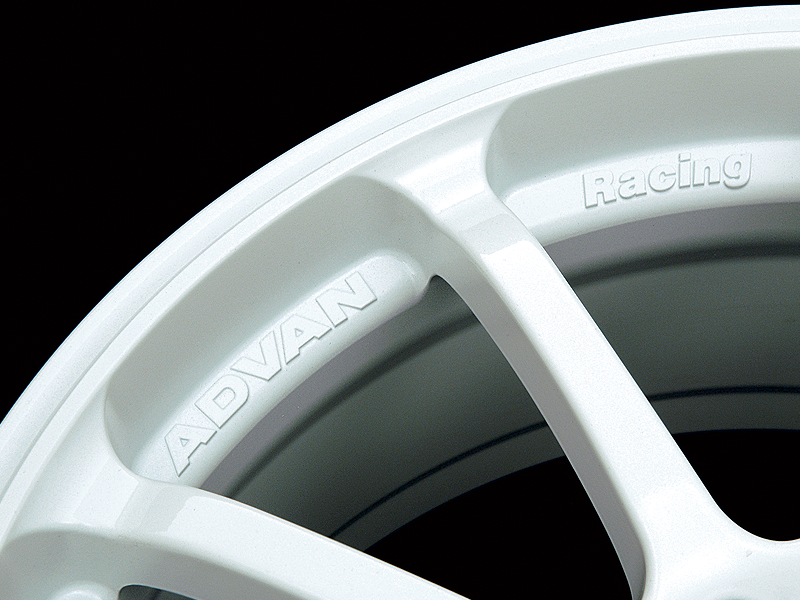 ADVAN Racing logos are cast between the spokes in 1mm high letters and the letter faces are unfinished as with other ADVAN Racing wheels, and in line with the competitive wheel concept. 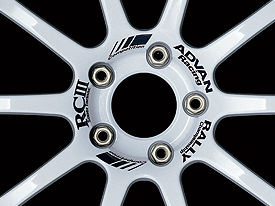 Capless design, but ADVAN Racing center cap (φ73 for PCD114.3; and φ63 for PCD100.0)sold separately.